Tian Luo might not be very knowledgeable, but she had long heard about this famous God of War, Rong Lin. In the heavenly realms, there were only two people who could be considered high gods: Xiao Bai, who was of the God race and had the blood of gods flowing through his vein, and the other, Rong Lin who earned the right to be called a god. During her time in the academy, Tian Luo learned that these two high gods had the admiration of many of the female disciples. The six realms of the past had a conservative stance, where the law was upheld to the upmost and it was taboo for different races to fall in love, let alone tolerate master (teacher) and disciple (student) relations. However, it has since taken a more liberal stance and it was no longer a big issue with the growing number of female disciples who admired and chased after the two high gods. Nevertheless, it still remained ingrained in the mindsets of the teachers. Even if there was no specific prohibition, most of the teachers choose not to get involved with the female disciples. For those who did get involved, it was nothing more than a short-lived love affair. While looking at Ah Lian, Tian Luo had to admit that although the other two girls had a higher social status, they were arrogant and unlikable. Ah Lian, on the other hand, had a gentle and calm disposition and was naturally charming and beautiful. It was hard to believe that someone from the carp species could have such outstanding features. Based on her features alone, Ah Lian could already compete with those two and stand a chance. There was saying that just by being fair, it could cover other flaws, and what girl did not like to be beautiful? Being born in a pond and of the snail species, it was natural for Tian Luo that when she transformed in to a human, she would have slightly tanner skin than the average girl. But Ah Lian thought that being slightly tanned made Tian Luo look better. A few days passed and Ah Lian still did not get to meet the high god, Rong Lin; not even his shadow could be found. As a result, today, a solemn and depressed Ah Lian was watering her flower pot. It contained a seed which could grow into a spiritual beast; all initiated disciples of the academy are given such a seed. The grade and quality of the spiritual beasts’ depend on their masters’ ability. Since Ah Lian’s ability was not very high, her seed would produce one of the more common types of spiritual beasts. Seeing her all depressed, Tian Luo tried to comfort her, “Ninth Heavenly Pavilion Academy is mostly managed the high god, Xiao Bai. High god Rong Lin is rarely around unless he has lessons, but since those two are good friends they are sure to meet up. So you surely will have the chance to meet him.” Ah Lian was comforted by Tian Luo’s encouragement. The roommates names were Yi Zhang and Yi Gui. Yi Zhang’s temperament was unreasonable and aggressive, while Yi Gui was an aloof cold beauty. Although their personalities were not fantastic, their beauty made them quite popular in the academy. Within a few days of their arrival, many male disciples had already fallen for their appearance. Ah Lian and Tian Luo looked at each other helplessly, knowing that they were “country bumpkins” that Yi Zhang was grumbling about. 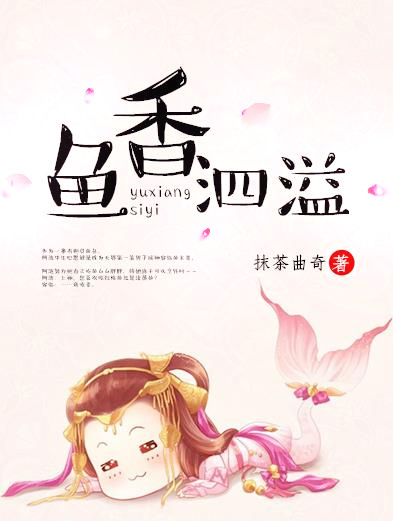 Although Yi Gui looked like a pure fairy in her fluttering white dress, it could not hide her feelings as she looked at her cousin with mirth in her eyes hidden with distaste. She had grown up with this cousin of hers and knew that Yi Zhang was a tactless girl with very a low EQ. However, the more tactless Yi Zhang was, the more Yi Gui liked hanging out with her, because it enhanced her generosity and made her look like a good person. So in spite of Yi Zhang’s indignant rumblings, Yi Gui’s heart was not moved. Since she was young, Yi Gui has always been one of the favored (popular) children of the Eastern Seas, but the Ninth Pavilion Academy was not the Eastern Seas, so whatever arrangement made for them by the elders, they had to follow; even if it meant staying with two uncouth country pumpkins. This was an institution where everyone was treated as an equal without any bias, so they had to follow the rules. However, now that they learned that a little jujube demon could stay on an island by herself, something which only high ranking disciples were entitled to, their perceptions were disorientated. Hence, the resentment. Ah Lian and Tian Luo knew that their roommates were the type to be affected by gossip, quick to hear and speak, but they would not go overboard. So they did not bother about them and made their way to the pool. Ah Lian’s eyes widened upon hearing the news. Ah Lian was blessed with good looks, so even though her status was quite low, there were senior male disciples who were eager to take care of her since her arrival. However, since she is a little dim-witted and slow, she can never remember their names; she actually also never bothered to. The only one who she can remember and is interested in is the high god, Rong Lin, who has yet to make an appearance. But this high god Xiao Ba, she at least has some inkling of who he was. He was in charge of the Ninth Heavenly Pavilion Academy, so it would make sense that he would be able to arrange for that little jujube demon to have such an accommodation. The only time Ah Lian managed to catch a glimpse of high god Xiao Bai was during the entrance ceremony. He had a fair complexion and seemed to have an gentle temperament. What was even more intriguing was that he had neither the flairs nor arrogance that came with being a high god. He was also known to be impartial, so how was it that he made such an exception for that little jujube demon? “But don’t you like him?” Tian Luo quizzically asked. Having been spoiled by her parents since childhood, when she did not like to study Tian Luo's parents did not force her. As a result, her education was somewhat hindered so her understanding and use of words were basic and sometimes uncouth. She did not understand the degree of the words she used and assumed them to mean the same thing. Soon the topic changed to how that little jujube demon probably had really high cultivation experience or maybe she had a mighty behind-the-scene sponsor. When they arrived at the pool, Ah Lian and Tian Luo started to disrobe, and jumped into the water with a ‘plop’ sound. The ripples caused by the two girls soon dissipated and the water returned to its original tranquil state. A few seconds later, a girl emerged from the water, her luscious black hair half draped over her shoulders and half spreading out on the surface. Water droplets glistened off her face and meandered down her cheeks and neck; truly an alluring and mesmerizing sight. Even though Ah Lian could transform into a human, she was more comfortable in the water. With a smile on her face, she dived into the water head first with her tail making a big splash as it entered the water. She dived to the bottom of the pool and found the big river snail, Tian Luo, adhered to a rock. Tian Luo responded happily with bubbles that made a “gululu” sound. Having been without water for a few days, Ah Lian swam to her heart’s content in her mermaid form until she decided to change back to her original full carp form. Soon, a little plump white carp was swimming even more happily and vigorously in the water. Ah Lian did not know how far out she had swam, but she soon found herself in unfamiliar waters. She swam past layers of water plants upon water plants not knowing where she was heading. In a distance, there seemed to be two long pillars. In the water, Ah Lian’s eyesight (in her full fish form) was not very clear in the water, so everything was quite vague; she assumed what she saw to be pillars. After all even the sea had a Stabilizing Needle, so what more a pool located in the majestic Ninth Heavenly Pavilion Academy? A pillar or two would not be an unusual thing. Even if the pool was full of bricks she would not be surprised. Her days spent at the academy had blown her expectations out of proportions with its eccentricity and magnificence. Curious, she swished her tail forward and made her way to further inestigate those two pillars. When she arrived, she tapped her tail lightly on one of the pillars. Thinking it would be fun, she meandered back and forth between the two pillars. After a few rounds of doing so, Ah Lian soon discovered that in the middle of the two pillars was a moss like thing which resembled a bird; quite a unique structure. She truly believed that she was the country bumpkin as she was reminded of Yi Zhang's earlier sarcastic comment. She truly could not understand nor appreciate the sculptors sense of aesthetics! Wanting to try to understand this peculiar structure, she approached the foreign object and started pecking at it out of habit. Suddenly, the water around her started to swirl and a strong whirlpool threw her onto the shore above. The impact caused Ah Lian to be dizzy and discriminated. A plump little carp landed on the ground and transformed in a mermaid, with the upper body resembling that of a young girl. The girl's face was dripping with water droplets and her long black hair stuck to her chest. That little face of hers was pale due to the severe bout of dizziness. She slowly opened her eyes and encountered a pair of shoes that had clouds embroidered on it. As her eyes moved upwards, her face lit up with joy as she immediately reached out and grabbed the leg of the figure in front of her exclaiming, "High God Rong Lin!"